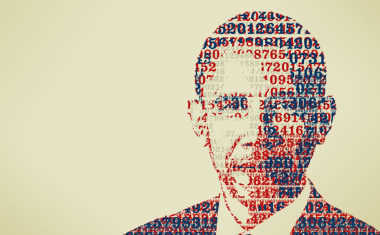 My previous blog about Barack Obama's Numerology chart received a surprising number of angry comments. In the past I have written articles about Bush, Clinton, Carter, and others, but Obama seems to really light a fire under some people. However, a close look at the comments makes it clear that the anger unleashed was not so much the result of my ever-so-slightly biased portrait of Obama, as it was due to the bias of some anti-Obama readers. No matter what I would have said, if there was even the slightest hint of positivity, angry responses were bound to follow. So I decided to do what is right and fair and above all, diplomatic. "Think like a politician," I told myself, and decided to write an equally favorable blog on Willard Mitt Romney. This, I thought, might appease those I had unwillingly angered. I cranked up my trusty Numerology software program to calculate Romney's numbers. This is, by definition, a truly objective exercise -- after all, my personal feelings and opinions cannot interfere with the organized process of numbers doing what they are supposed to do. And that, dear reader, is when I broke out in a cold sweat. My heart stopped beating for a few seconds while I stared at the screen in utter disbelief. There was absolutely nothing positive that could be said about this man! How could I come up with even one agreeable statement? OK, please calm down, I'm kidding. It's a joke! But it's a joke with a message. It seems that over the years we have completely lost our ability to recognize nuances. In people, in politics, in religion, in cultural differences, in pretty much anything that affects our lives, we have become blind to shades (all 50 of them). Today, there are no more grays, much less color, it's all black and white. I am not sure who or what is to blame for this phenomenon; the media, education, a consumer-driven economy, advertising, evolution, junk food, overpopulation, pharmaceuticals ... who knows? But if there is anything Numerology has taught me, it's that people are extremely complex. Every chart I have ever done was loaded with contradictions, nuances, overlapping aspects, and attributes that dominate or suppress each other. We are all flawed, and we are all perfect, because this is what we were designed to be; confused, curious, hungry for love, competitive, burdened with egos in every form and size, troubled, scared, insecure, you name it. That guy quietly sweeping the hallways of your office every day, he has his dreams, pride, hopes. That successful businessman in his fine clothes being chauffeured around in his Rolls Royce has, had, and will have, his moments of doubt and fear. Because he, too, is just another human being. Want to check out the numbers that influence your life? Get a free sample Numerology Profile to learn all about your Personality number -- one of your core numbers! 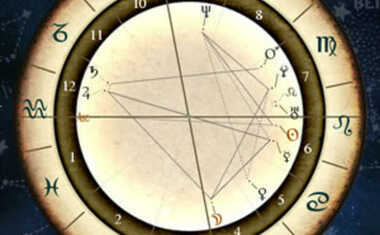 When I look at a Numerology chart, the first thing I look for is balance and harmony. Take, for example, the Life Path number. This is the path you are on, the direction of your personal evolution. It reflects the kind of opportunities, choices, and challenges life will likely present you with, as it tries to steer and motivate you onward in the direction symbolized by that particular Life Path number. At the same time, your Life Path gives you certain attributes that help you follow that path. You were designed specifically in accordance with the requirements of your Life Path, which doesn't always mean that you carry the attributes specific to your Life Path's number in the form of character traits. In fact, many of us don't. Instead, we are given the qualities needed to follow that path -- an entirely different thing. I know, it sounds confusing, but it just comes down to nuances. Let's take a person with a 5 Life Path. He or she will experience a lot of curves and changes; a dynamic life requiring flexibility, adjusting to changing circumstances and career changes. He or she needs freedom and will do anything to avoid a routine, predictable lifestyle. Those with a 5 Life Path are often rebellious and almost always unconventional. Now, let's say that this same person also has quite a few 5s in his or her name. The letters in your name play a different role, one that reflects a much easier and simpler concept: IT'S YOU! Your name reflects who you are, the person walking the path I referred to earlier. With all those 5s in his or her name, that person is particularly well prepared for the demands of a 5 Life Path. Simply put, he or she has the tools required. At the same time, this person might have a 1 Heart's Desire. Without getting into too much detail, let me just say that a 1 and 5 get along quite well, and as a Heart's Desire, the 1 adds steam to the engine, like having the wind at your back. This combination, a 5 Life Path, multiple 5s in the name, and a 1 Heart's Desire therefore reflects a chart well balanced, at least concerning those few aspects -- there are numerous more to be considered. And that, dear friend, is what I meant when I mentioned in my article on Obama's chart, that his chart is well balanced and harmonious; most of the numbers just fit very nicely. I'm sure you wonder why I felt the need to go through this long explanation you probably weren't looking for. Yeah, you guessed it. Mitt Romney's chart is not nearly as harmonious as Obama's. Sorry, my dear Republican friends, but there is just no way around it. That doesn't mean Mitt doesn't have some strong and positive numbers though, and a few surprises for many of us -- particularly for left-leaning liberals, such as yours truly (thrown in as a kind of disclaimer, but by no means an apology). So let's take a look. First off, all Mitt Romney's core numbers -- the most impactful numbers in his chart -- are divisible by 3. This means that he is a creative thinker and, had he grown up in a less restricted environment, might have even become an artist. He's someone who can think outside the box and stretch his perspective well beyond the boundaries of the obvious. The creative use of logic is a most powerful asset, and he's got plenty of that. I must admit that this came as a surprise to me. (I don't watch TV, don't even own one, but I read the paper religiously every day. So I too, am drowning in the opinions and judgments and plain crap the media floods us with. The newspaper is no different, and why I allow myself to be subjected to a tsunami of ignorance and confusion every morning is beyond me. My only excuse: lifelong habits are hard to break.) All right then, let's move on. 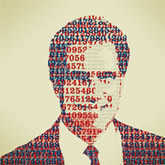 Mitt's 9 Life Path number is the only core number he has in common with Obama's Numerology chart (in Obama's case the 9 is found as a Heart's Desire number). This tells me that Mitt's road in life leads to more and more involvement with people on a large scale -- globally perhaps -- and that this is meant first and foremost to lessen the distance between Mitt and his fellow men. Here too, a little more explaining is required. It's very easy for any one of us to relate to our brother, sister, child or parent. The connection between us and our close family members is very close and powerful indeed. It's somewhat more difficult, but still well within our range, to relate and feel connected to our cousins, neighbors and friends. But the further the circle is stretched, the bigger the distance and the more challenging the ability to relate becomes. Sure, schoolmates, drinking buddies, co-workers, they are all well within range of our empathy. A little further out, the strangers in our neighborhood -- familiar faces, but not much to connect them to. Next, our fellow countrymen who speak our language and eat the same food we eat. But by the time we reach the foreign countries, especially those very different from us -- completely different religions, lifestyles, etc. -- the ability to feel connected with them as human beings can become challenging, for anyone but the saints who walk among us. This anomaly is the reason we can go to war, it's the reason we can watch people who are starving on the other side of the world and forget about it shortly after, to go off to bed for a good night of sleep. If that person was your child or your sister, you wouldn't sleep and you wouldn't forget, you would be tormented all night long. Perhaps you think that's because you don't "love" that dying stranger 10,000 miles away the way you love your sister. What do you think empathy is? Romney has the 0 (number zero) for all four of his Challenges. Again, without going into too much detail, this is what it means: When a 0 shows up as a Challenge, it takes on the qualities of the 9. In other words, Mitt's road in life -- acquiring the positive qualities of a 9 -- specifically show up as his Challenges as well. Unfortunately this stands out as decidedly disharmonious because they make it that much harder to reach the goal of a 9 Life Path, like a man climbing a hill, fighting gravity with every step, while at the same time being forced to carry a bag of stones. Among the comments to my previous Obama blog was one stating that we needed a businessman, not a politician. (Which is like voting for a doctor so he can heal the country, or a contractor who can rebuild America.) Well, I have good news and bad news. Here's the bad news: Mitt is not a businessman. Here is the good news: Mitt is an excellent, truly gifted, über-salesman. He can, as they say, sell snow to an Eskimo, and that, combined with the aforementioned creative mind, makes for a man capable of great material success. I have written in the past about the key-hole effect; when numbers are limited but sharply focused on a particular strength, which is the case with Mitt's chart; not particularly harmonious or balanced, but very, very focused. A few more interesting facts about Romney: his short name, Mitt Romney, does add some of the visionary and business-oriented qualities of the number 8 (his Minor Expression number). His abundance of 6s throughout his chart tells me that Mitt takes his family and community, and the responsibilities that come with that, very seriously. The only number missing in his name is the 8, which, contrary to popular opinion, actually draws someone toward business. Next up, the surprising future forecasts of both, Barack Obama and Mitt Romney. I took a peek, of course, and oh my, I really did not expect to see what I saw.